Tater Tots. Mmmmm. Who doesn’t love them? Seriously…what kind of a person can resist those delicious little deep fried balls of potato? If you don’t love them, then we can’t be friends (I’m just kidding). I love them a little too much, and I know I shouldn’t. That’s how I knew they needed to be Chirpy-fied! 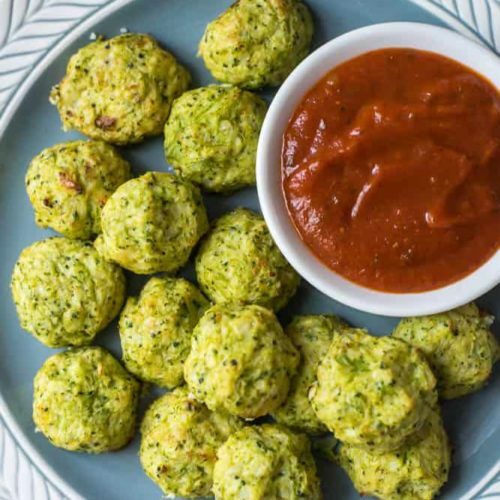 Simple Cheesy Cauliflower Broccoli Tots to the rescue! 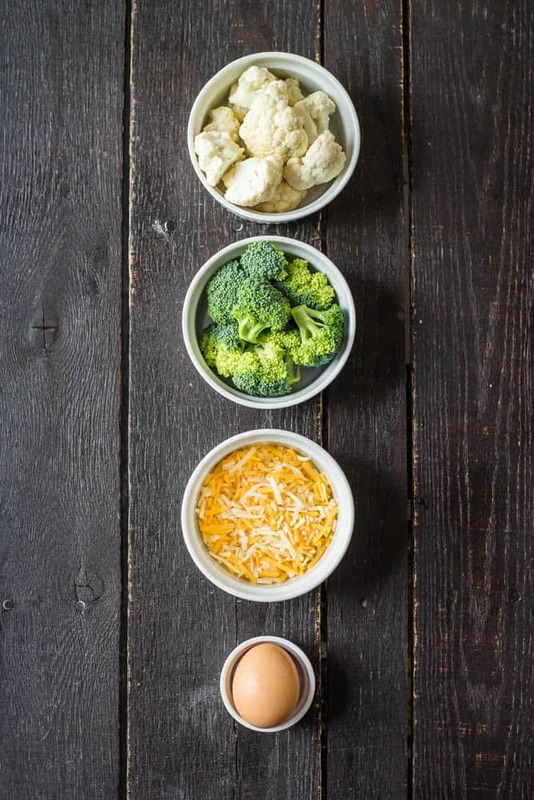 It’s packed with 2 nutritious vegetables, egg and cheeeeeese… little enough cheese to keep it healthy, but more than enough to make those veggies extra tasty! Nobody can complain about that! So, we’re almost at the last week of April! Do you know what that means…? No? Well, it means that in exactly 2 days, Cody and I are heading to Asheville, NC for a week ??? ?, to elope ????. The reason we decided to elope was because of the complications involved with being from two different countries, AND the fact that I was never the kind of person that agreed or believed in the whole concept of a “wedding”. Cody is indifferent either way, so we decided after long and hard contemplation that eloping was what was best for us. That gives us money to spend on experiences, rather than a party. Like scratching “hot air balloon ride” off my bucket list, for one ????! Not that there’s anything wrong with a party, of course. We just don’t like to party haha. Some family members on both sides have told us that we’re probably going to have the most stress-free “wedding” of all time, when in reality it’s probably more stressful to go against the norm and not have a wedding. Not everybody understands or approves of this decision, but we hope that in time, they will come to accept it. We are happy and excited about next week, and that is, after all, the only thing that truly matters. On that note, Chirpy will be M.I.A. next week, for obvious reasons 🙂 So, expect to see us again on May 2! 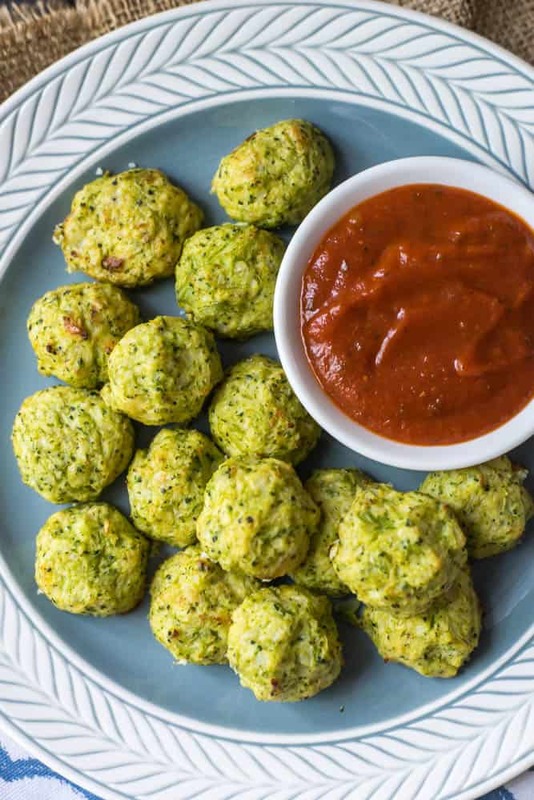 Back on the topic of these Simple Cheese Cauliflower Broccoli Tots, though (Phew, it got a little serious for second haha) – these little things are really simple and basic (and definitely tasty). So, don’t be scared to spice them up a little if you are so inclined! They are perfect as an accompaniment to breakfast, or even as an appetizer! We gobbled up the entire batch as soon as I pulled them out of the oven. It tasted perfect dipped in some organic marinara. Next time we’ll try to pace ourselves and try to save some for breakfast the next morning. I don’t know if we’ll succeed, but we’ll definitely give it a try! Bring a pot of salted water to the boil, add the cauliflower and broccoli and cook for 10 minutes. Use a slotted spoon to scoop the florets into a food processor and process until fine. You can leave it chunkier if you desire. 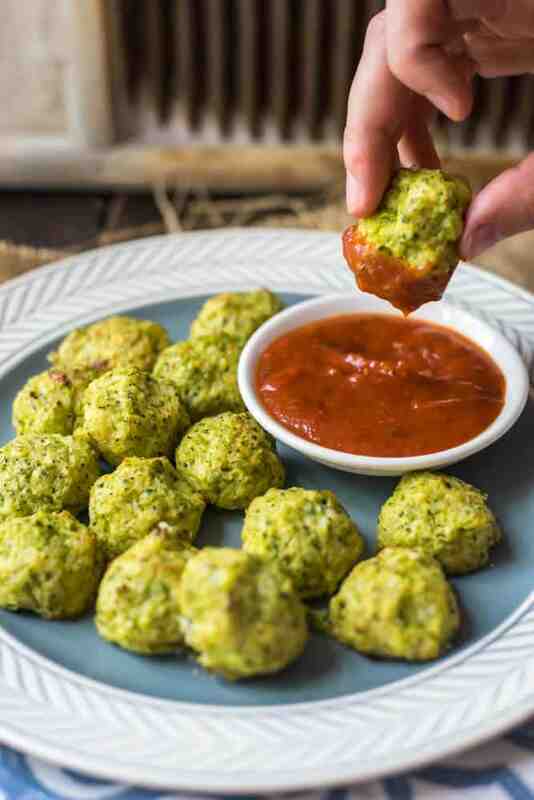 Use a clean tea towel or cheese cloth to squeeze the extra moisture from the cauliflower and broccoli. Transfer to a mixing bowl and stir in the cheese. Add salt and pepper if necessary. Lastly, stir in the egg and then form into tots. 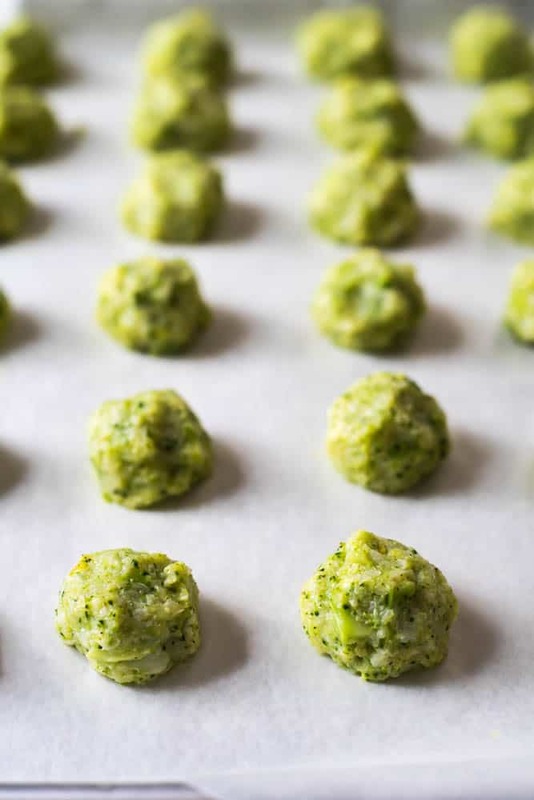 Place the tots on a prepared baking sheet and slide into the oven for approximately 25 minutes. Oooh yum! I like that idea! 😀 Thanks for stopping by Amanda! Yum! Definitely going to be making a big batch of these – they look great! Hi Stacy! 🙂 Unfortunately, I am unable to provide nutritional information on my recipes as I am not a registered nutritionist/dietitian. So i tired these…and by the time i was finished pureeing and mixing the ingredients, I was left with more of a runny paste than anything i could form into “tots”. Any suggestions on where I went wrong? Hi Lindsay! I’m sorry to hear that the recipe didn’t work for you. It’s hard to troubleshoot when I’m not in the kitchen with you, but my first guess would be that you didn’t drain the broccoli and cauliflower enough with the cheese cloth? Or it might be possible that the egg you used was very big and thus made the mixture too runny. If the egg is the culprit, I’ll add a note to the recipe mentioning that it would be better to whisk the egg in a separate bowl and add it little by little until everything just sticks. Hope that helps! These look great. Your whole website is all food I am excited to make and eat! Also glad to hear you’re going to Asheville! That’s where m from, its a perfect place to be! Can you freeze and reheat easily? Tried this tonight and they are incredible! Thank you so much for this recipe! It will now be on our list of favorites! These look great but I didn’t care for the taste. Even my son who likes broccoli and loves cheddar didn’t like these. I’m very sorry to hear that. If I had to troubleshoot it, I would most likely assume that you may have not added enough salt. 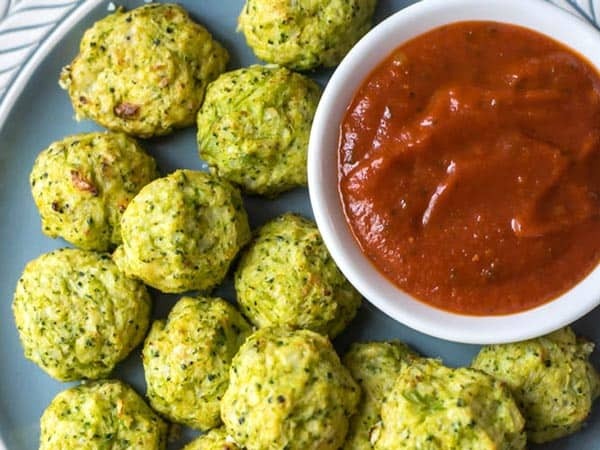 Especially if your son loves broccoli and cheddar, he should have liked these. Maybe you or him dislikes cauliflower? It’s hard to say. I do made these pretty often myself, I even make it without cheddar for my one year old and he loves it.